One of the most important and main attraction of wedding is the stage where the bride and groom are seated. 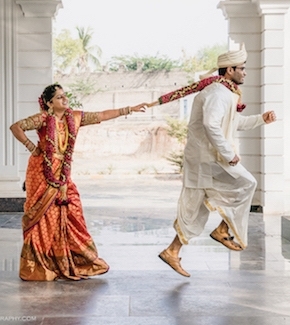 Every guest looks at the decorations made for the couple getting hitched and nothing is better than leaving them awestruck as they enter the venue. 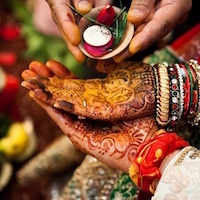 This is the place where most of the photographs with the bride and groom are taken, and hence it is of primary importance to make it pitch perfect. So here are 10 amazingly beautiful and unique wedding reception stage decoration ideas that you MUST TRY for the big day.10 Unique Reception Stage Decoration Ideas You Can Try. Having one grand chandelier or a number of small one on the wedding stage gives a grand and royal look to your wedding reception. It should match the colour of the seats – chandelier with silver lights for white seats, and chandelier with yellow lights for gold or red seats. Fairy lights are nothing but mesmerising beauties that will give the stage a gentle, subtle look to the stage. As in the case of chandeliers, the choice of the colour of fairy lights is important in reference to the theme and colours of the remaining decor. Flowers symbolize new life, hope and fertility, making them an important, and mesmerising part of a wedding. Stage decorations using flowers have always been an exquisite and enchanting way to decorate. Flowers give a unique and beautiful look based on the choice of them. Another beautiful way to decorate the stage is with the use of satin drapes based on the colour theme. The size of drapes can vary based on requirement.These give a classy and elegant look. 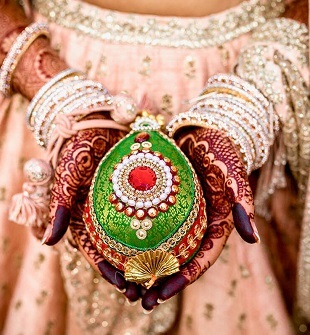 For an Indian marriage, two colours are important – Red is the colour for love and gold is the colour for prosperity. Having both of them as your reception wedding decoration is one of the best ideas since they look stunning and sophisticated. Another mesmerising and gorgeous combination for a wedding reception stage is the blend of blue with white which gives a royal, elegant look. Using unique and exquisite motifs to decorate the background, such as candles, or frames among others will give your pictures a gorgeous and mesmerising backdrop. Such patterns which are different and creative will make your memories even more cherishable and give your guests another topic to talk about! If you have a theme decided for your wedding, it is important to prepare the stage decorations in synchronization with the theme. The most subtle and simple reception stage decoration is by using bright hangings with drapes to give a classy and beautiful look. Extremely attractive glass motifs with LED lights will give the stage and your wedding pictures an amazing touch. The use of pillars, drapes and flowers give a royal, elegant look to the stage. 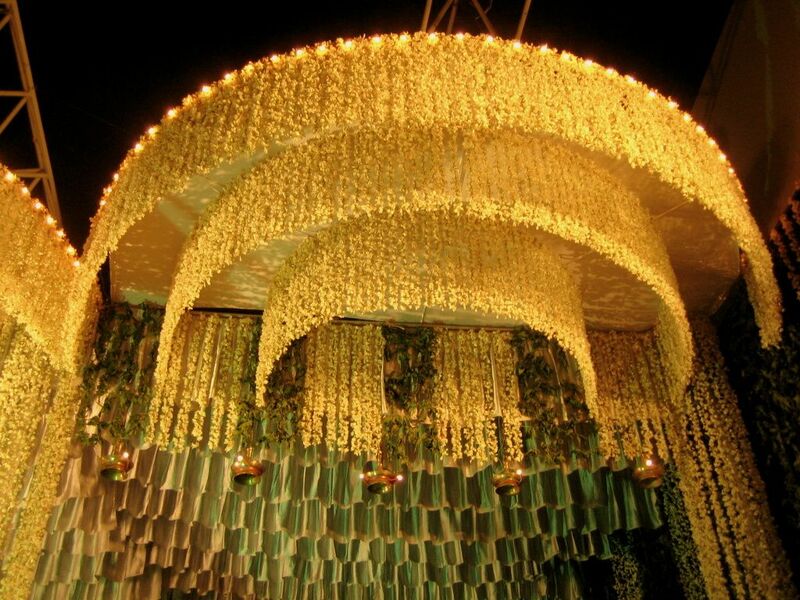 Pillars have always been used as a wedding classic decoration, hence, for a beautiful decor, pillars can be opted for. These were some of the most enchanting and mesmerising wedding reception stage decoration ideas. Let us know your top pick in the comment section.